Falguni Shah-Gosalia, wife, and Nimit Desai, son, with family members at the cremation. 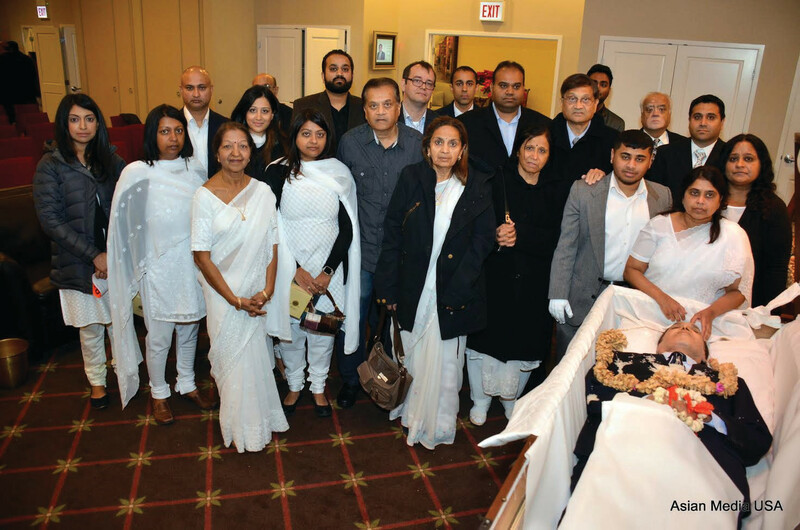 Niranjan C. Shah, a devout Jain who spent his lifetime to build JAINA, or the Federation of Jain Associations in North America, and was instrumental in organizing the 1995 JAINA Convention in Chicago, died in Schaumburg, Ill. Dec. 28. He was 74. Shah is survived by wife Falguni Shah-Gosalia, son Nimit Desai, and siblings, including Lataben Doshi, Aruna Shah and Ravindra and Malti Shah. Mourners at the cremation ceremony, at Russo’s Hillside Chapels, at Hillside Dec. 30. A capacity crowd joined in the celebration of his life, and the cremation ceremony at Russo’s Hillside Chapels, at Hillside Dec. 30, an Asian Media USA press release said. Shah migrated to the U.S. as a student at the age of 21 in 1962 and rose to become one of the most respected leaders of the community in Chicago. In addition to being a successful engineer, Shah firmly believed in the practices of Jainism. 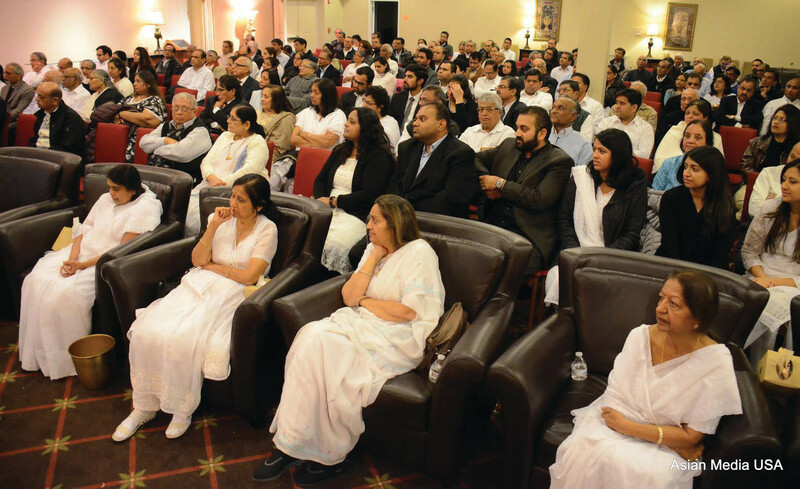 One of the prominent Jain scholars present at his cremation described him as the “highest Prabhavana for Jainism in USA”. He was also described as devoted to Attmaiddhi Shashtra. Shah was the founder, generous donor and contributor to the Jain Temple located in the Chicago metropolitan area. At his house he initially built a Jain Temple. He hosted many visiting devotees and Jain scholars attracted not by his vast collection of Jain literature but also by his hospitality, warmth and generosity. Besides family members, several of his friends, including Ravindra Kobavala, Vijay Meghani, Gaurav Shah, paid homage to the departed soul. Meghani praised him for the values he followed and shared a couple of anecdotes that proved the selfless nature of Shah. At the cremation all those present agreed that he was a true follower of Jainism. Others spoke about his jovial nature and how he played a vital role in establishing the Jain Temple and the Pooja Vidhi at the temple. The community that he helped foster throughout his life remembered him as a reverent and pious man of devotion and commitment who tirelessly worked to build a tight-knit community and worked towards the education and dissemination of Jainism, and Gujarati. Shah was a strong advocate of humanitarian efforts, both nationally and internationally. To devote more time and energy towards this cause, he retired at the age of 44 from his profession. He also believed in sharing his wisdom and passion for Jainism through various interfaith communities programs. Previous articleCongressman Krishnamoorthi Attends Jayalalithaa Memorial Service In D.C.